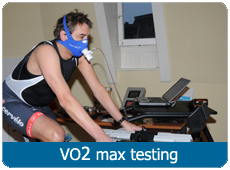 You are a runner or cyclist who is active in sport to stay or become healthy or to stay or become in a good shape, but also to achieve sportive goals. Therefore it is important to reach the finishline, but the achievement of a fast time or a good result brings extra satisfaction. You appriciate it that a personal coach gives you advice in such way that you will achieve your sportive finishline in a better shape, but also in a way to reach that finishline in a faster time. Those advices can also be in the field of nutrition. You do not expect that your trainingsschedule will be adjusted a lot because of changing circumstances. The trainingschedule will be composed by a experienced coach on the basis from your current form, the available training time and your traininggoal. The training sessions will be planned at the days which are defined by you. Besides, you can define at which days you participate at other events than your final goal, so the coach can reckon with that during the composement of the scheme. 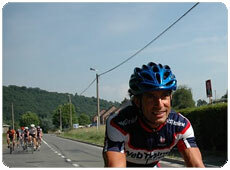 Such events are for example trainingcompetitions for cyclists, less important challengers or short running races. You notice the executed training sessions in a personal logbook. Adjustment of the trainingschedule takes part once a month. The training sessions from the previous month will be evaluated via telephone contact between the athlete and the coach. On base of this conversation and an analysis from the information filled in by the athlete in the logbook, the coach will make a new schedule for the next month, with respect to the new wishes for the next month with relation to the available training time. The coach will learn which training sessions will have the expected effect to the athlete and which training sessions are less effective, therefore the coach will give in the future more apply to the training sessions who are more effective. You can tell the coach if your available training time is changed. That is possible during the monthly evaluation conversation, but is is also possible, to a lesser extent, in between. The coach will change the schedule. Moreover, there is a possibility to execute the training sessions at another day than is written in the schedule (for example, when the weather conditions making it essential). Also, there is a possibility to execute other training sessions than those who are written in the schedule (for example, when you are cycling with a group which is riding at a higher intensity-level than is pronounced in the schedule): you fill in the executed training in the logbook, and the coach will in his analysis reckon with the changes. 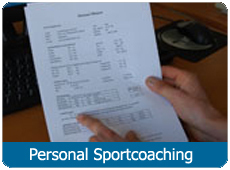 The coach has 1 hour per month coaching time for your availability. He will spend that time to the evaluation of the trainingschedule in the monthly telephone conversation and at the replying from questions about the executed training sessions. Furthermore, he will motivate you and give you tips to achieve your final goal from the training sessions and advice you, on a limited basis, at which events you can participate.